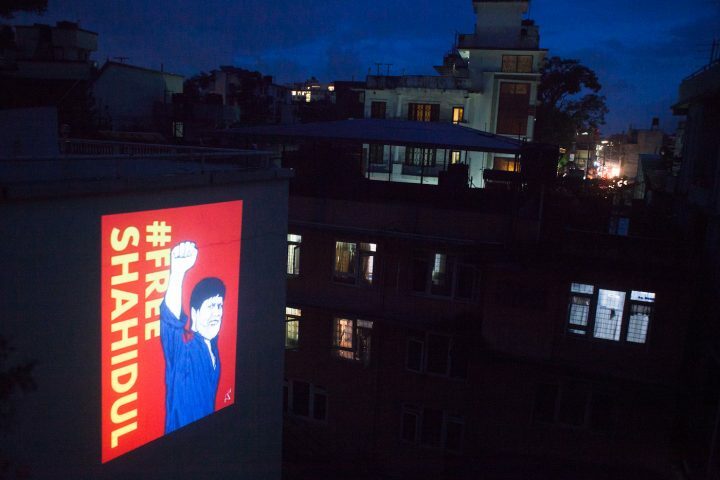 Ongoing protests in Nepal, India, and beyond are demanding the release of photojournalist Shahidul Alam, who was arrested and jailed in August for critiquing the Bangladeshi government. 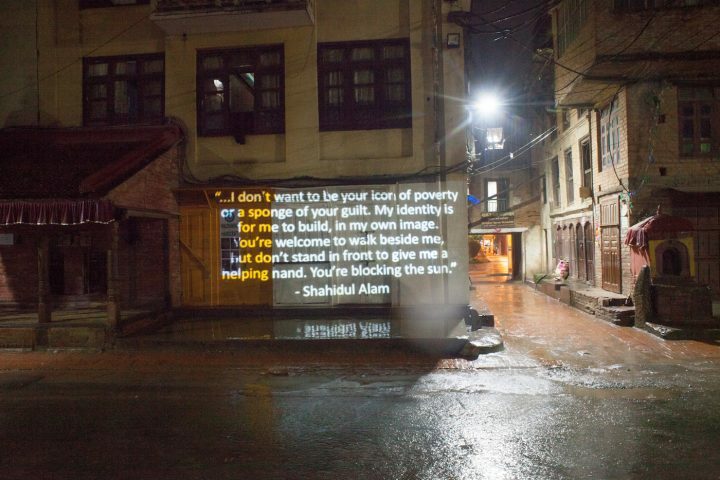 In late August, this powerful quote, by award-winning Bangladeshi photojournalist and activist Shahidul Alam, glowed on the sides of buildings throughout the streets of Kathmandu. 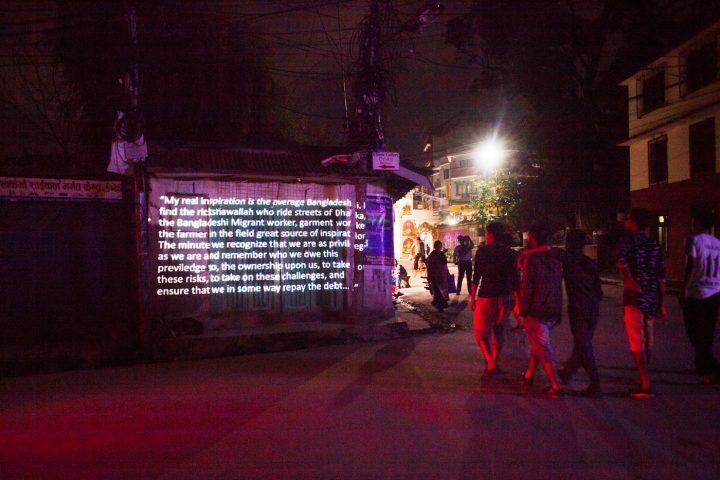 It was part of a city-wide art installation and protest, in which the Nepali capital’s walls lit up with projections of quotes and photographs by Alam, who on August 5th was dragged from his home, detained, and jailed by Bangladeshi police. His crime? Critiquing the Bangladeshi government during an interview with Al-Jazeera about student-led protests in the country. Taking place on the eve of a regional political summit, the Bay of Bengal Initiative for Multi-Sectoral Technical and Economic Cooperation (BIMSTEC), the two-day demonstration, organized by a Nepali artist collective, photo.circle, demanded justice for the internationally-acclaimed photojournalist. Protesters joined a star-studded chorus of voices calling for Alam’s release — the likes of Sharon Stone, Noam Chomsky, and Arundhati Roy have expressed outrage at the photojournalist’s imprisonment. Nepal’s Photojournalist Club and photo.circle had previously demonstrated with placards in front of Bangladesh Embassy in Kathmandu, and had sent a letter requesting Alam’s release through the Home Ministry. Photo.circle’s second protest was strategically timed to coincide with BIMSTEC, which brought a number of South Asian leaders to the city. 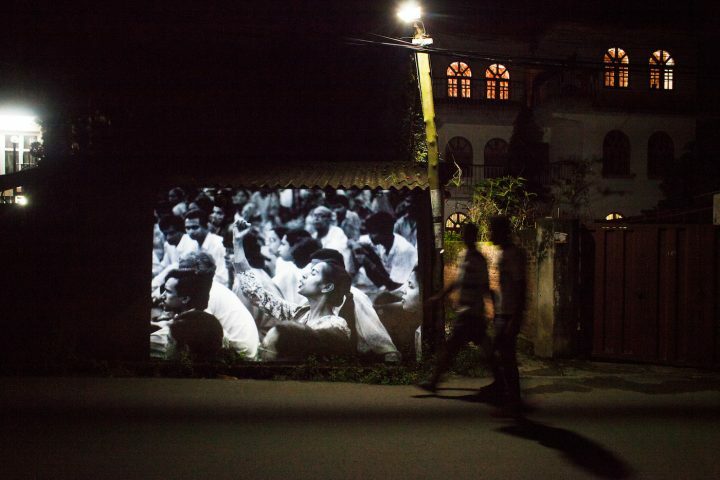 The art installation was unmissable — its large-scale, visually striking projections struck a strong note during the two nights that Bangladeshi Prime Minister Sheikh Hasina visited Kathmandu to meet with her Indian counterpart, Narendra Modi, under whose governance several Indian intellectuals, artists, and poets have recently been arrested in their homes. 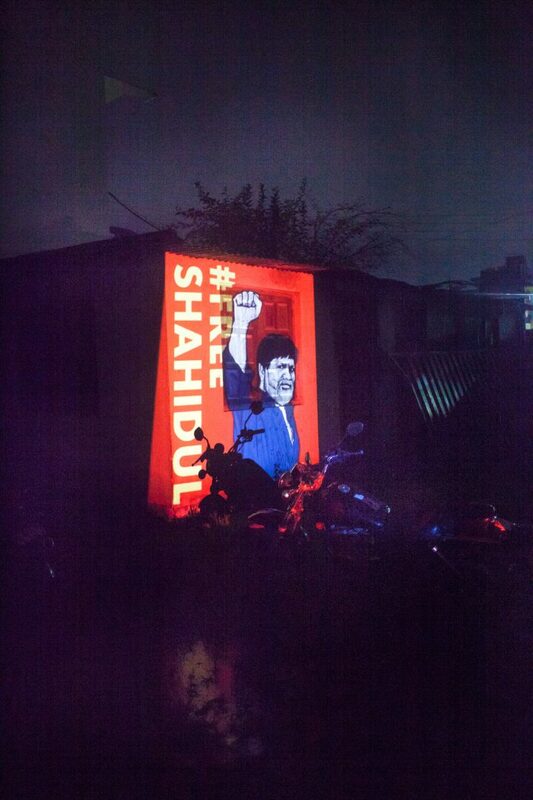 Photo.circle’s installation drew international attention when photographer Sagar Chhetri’s images of #FreeShahidul projections around Kathmandu got picked up by media outlets across South Asia and eventually went viral on social media. 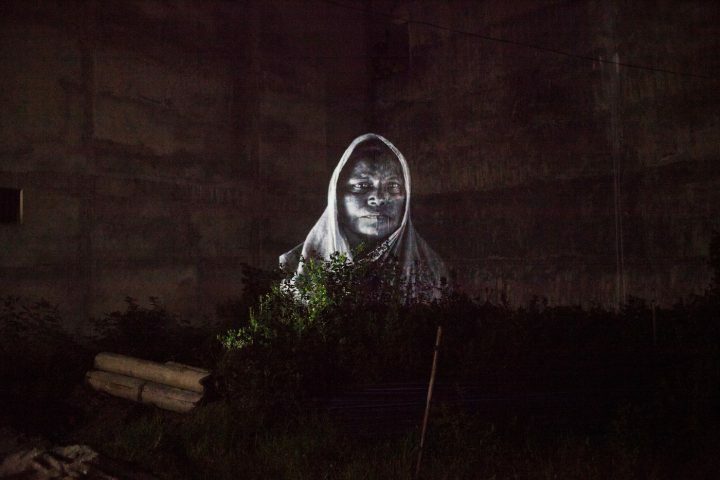 “It was a small action, but people seem to have seen it, which is testament to the power of the image,” says Kakshapati. Meanwhile, in India on August 31, intellectuals and artists gathered in front of Academy of Fine Arts, Kolkata to perform a public theater piece as an act of protest demanding justice for Shahidul Alam and five Indian activists who were recently apprehended. Kochi Biennale also released a statement supporting Alam. 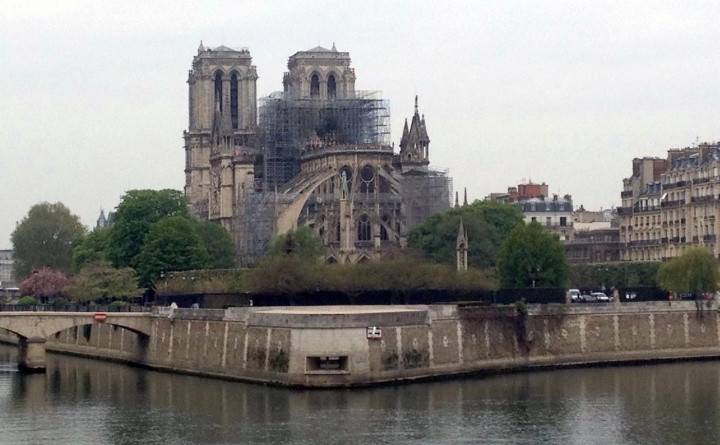 Alam’s arrest has broader implications for South Asian artists and thinkers. In recent years, the region has witnessed narrowing notions of freedom and democracy. Earlier in the month, several prominent Indian activists were arrested in their homes. Meanwhile, Nepal introduced tighter censorship laws. In Myanmar, journalists are under attack for “violating the Official Secrets Act”, and in Pakistan, blasphemy laws have motivated mob violence against artists. 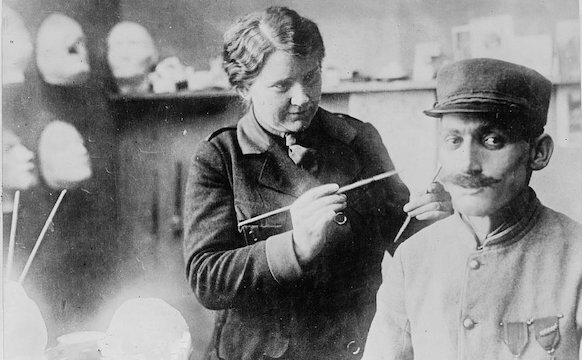 In these harrowing times, the role of the artist becomes imminently political. But with stronger inter-regional solidarity, the scopes of governmental power have also expanded. 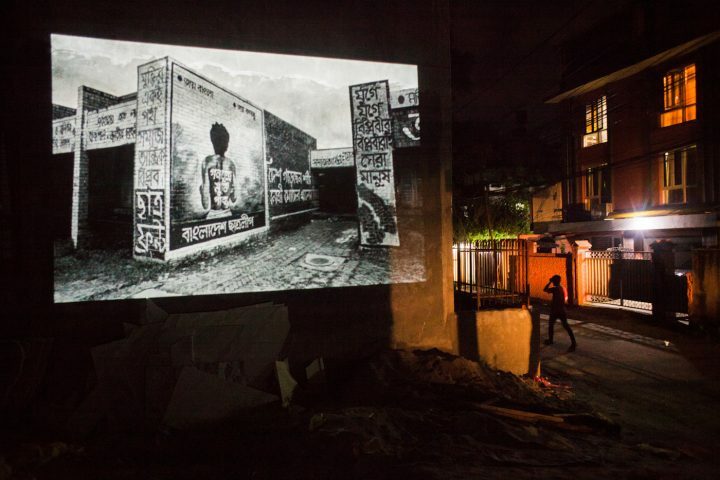 Two years ago, when Tibetan artist-activists Ritu Sarin and Tenzing Sonam exhibited a protest work in Dhaka Art Summit (DAS), it was shut down on recommendation of the Chinese Embassy in Dhaka. 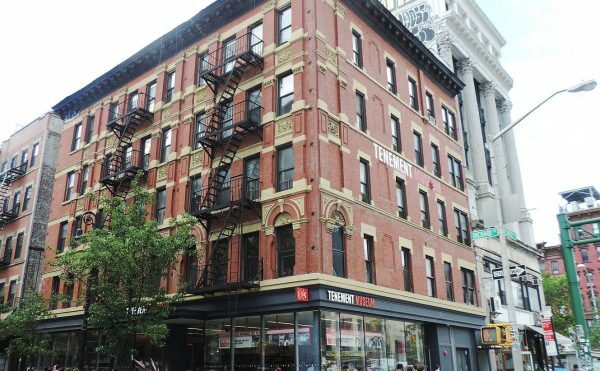 Another Tibetan exhibition hosted by Alam’s own organization, Drik Gallery, was censored by the Chinese government in 2009 — although Alam went ahead and exhibited the works on the streets as a counter-protest. This sort of exertion of governmental power in foreign lands is enabled by South Asian nations’ geopolitical dependence on one another. Apart from trade and economy, the countries also maintain volatile borders and, in some cases, need support from neighbors to maintain stability in their domestic political landscapes. 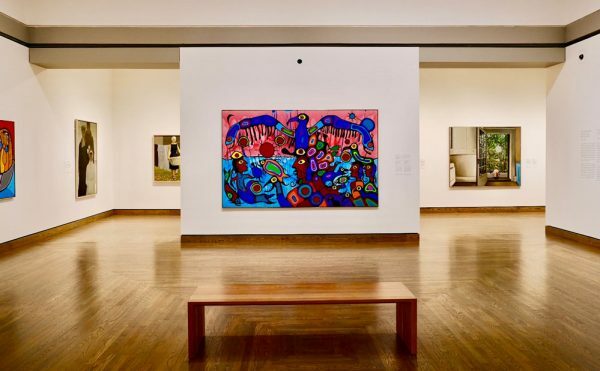 Neighboring nations often exert soft power through various institutions, convincing organizations such as the Samdani Art Foundation, which organizes Dhaka Art Summit, to succumb to their naysaying. The #FreeShahidul demonstrations in Kolkata felt similar pressure of soft-powers as well. Although several photographers and news editors from renowned local and international media outlets were present at the protest, Ronny Sen says that, “for unknown reasons, the President of Press Club refrained from announcing solidarity with Shahidul, even though an official statement from the Press Club would have had a superior repercussion in Dhaka.” Moreover, police appeared at the protest event at the Academy of Fine Arts, Kolkata, and took photos of the demonstrators. Kakshapati, who is also the festival director of Photo Kathmandu, which takes place in October, echoes the need for collective strategizing. “We [artists-activists from the region] need to sit down and share stories and physically be in one place,” Kakshapati says. “I think that helps to create and strengthen bonds on a very basic human level. We have a lot to learn from each other. 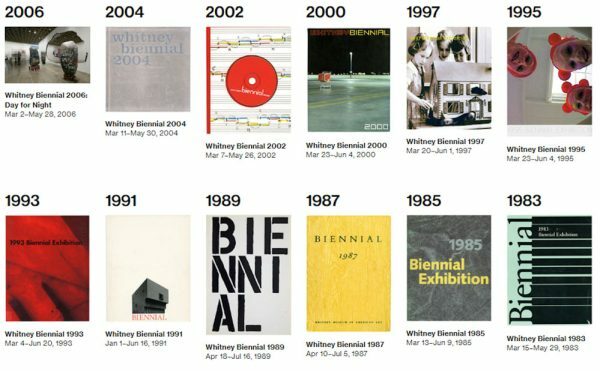 Some of us had to fight this for longer than other people,” she adds, mentioning that these discussions will continue during the upcoming festival. Following the protests in South Asia, the call for Alam’s release has reached New York. On September 27th, several prominent figures, including academic Gayatri Spivak and representatives from PEN America, demonstrated in front of the UN Headquarters during Prime Minister Hasina’s speech on the Rohingya crisis at the UN General Assembly. 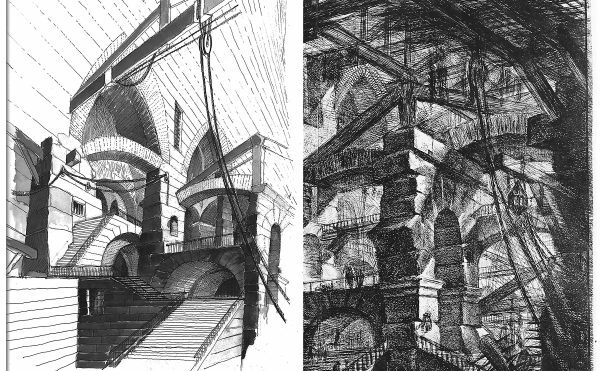 Later that night, The Illuminator art collective projected “Free Shahidul” slogans on the walls of Grand Central Station. For now, it seems that Alam’s arrest has solidified South Asia’s community of artists, which he initially helped nurture. These artists continue to stand up for each other in times of crisis, beckoning a new era of inter-regional protest art.